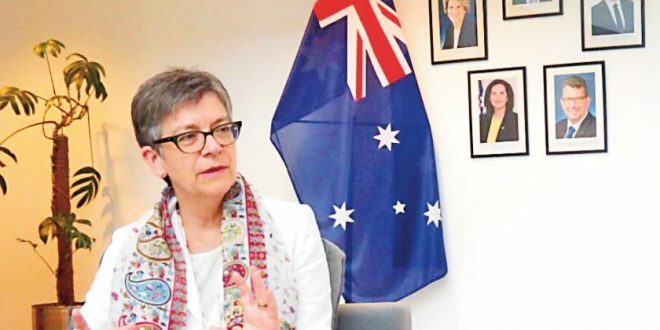 KARACHI: High Commissioner of Australia Margaret Adamson said that the Australian cricket team would visit the country soon following the flawless conduct of Pakistan Super League (PSL) matches in Karachi. I hope that not only Australia’s but cricket teams from other countries will also visit Pakistan soon. Australian envoy added that the country’s super league matches will play a prominent and vital role in bringing international cricket back to Pakistan and that the efforts are praise worthy. German Ambassador Martin Kobler congratulated nation of Pakistan and impressively charged crowd and packed stadium after the closing ceremony of the series and said the PSL is a very healthy activity for the people and country.